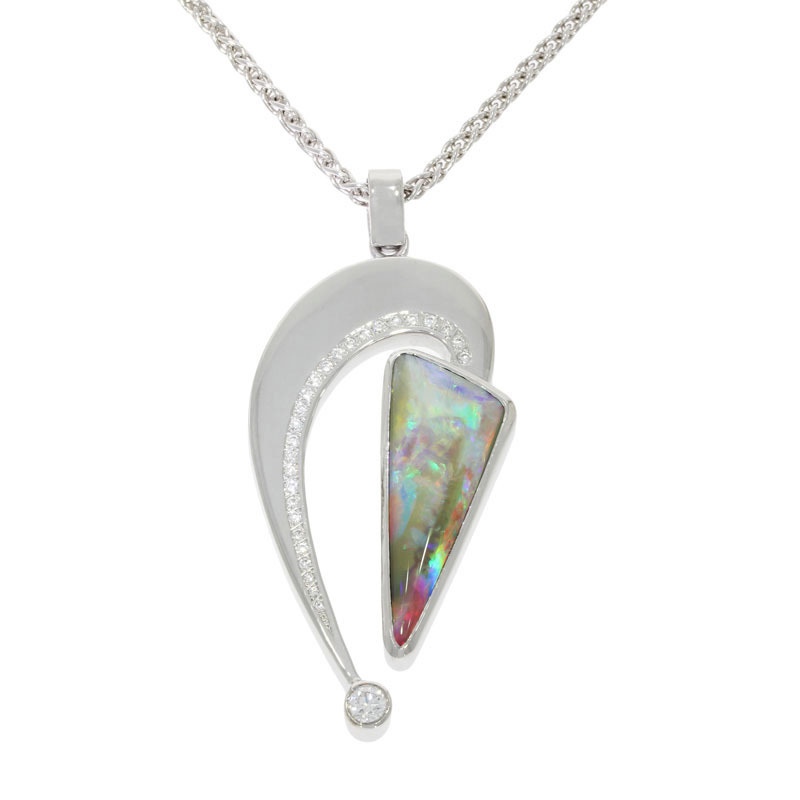 This beautiful statement pendant – designed by Nicholas Wylde featuring his favourite stone, the opal – could be said to be a milestone moment for the company as it is the first piece to grace the window that’s been crafted by Nicholas’ own son, Kieran. It could be said that this is a true piece of Nicholas Wylde history! The divinely coloured black boulder opal, which measures 30mm x 13mm is set in 18ct white gold and complimented by 27 brilliant cut diamonds, including an accent rub over set diamond, weighing .30ct in total, framed by a beautifully clean and flowing design with a polished finish. This ‘Star of the Month’ is currently proudly on display in our Bath shop window. Contact our Bath shop on 01225 462826 or click here if you’d like to give our ‘Star’ a new loving home!